You’ve likely installed smoke alarms in your home, and perhaps a carbon monoxide detector. Shouldn’t you also test your home for radon? It is estimated that as many as one in 15 homes have dangerous levels of radon. Radon is the second leading cause of lung cancer after smoking and is responsible for about 20,0000 deaths in the U.S. each year. Radon is a radioactive, carcinogenic gas that occurs naturally in the earth. Formed from the breakdown of uranium, it can be found in rocks, soil, and water. Radon can seep through cracks in walls and foundations or enter your home through openings around water pipes, gas pipes, drains, and sump pumps. Construction materials and methods can affect radon levels. Radon is generally most concentrated in basements and crawl spaces since it comes up through the ground. 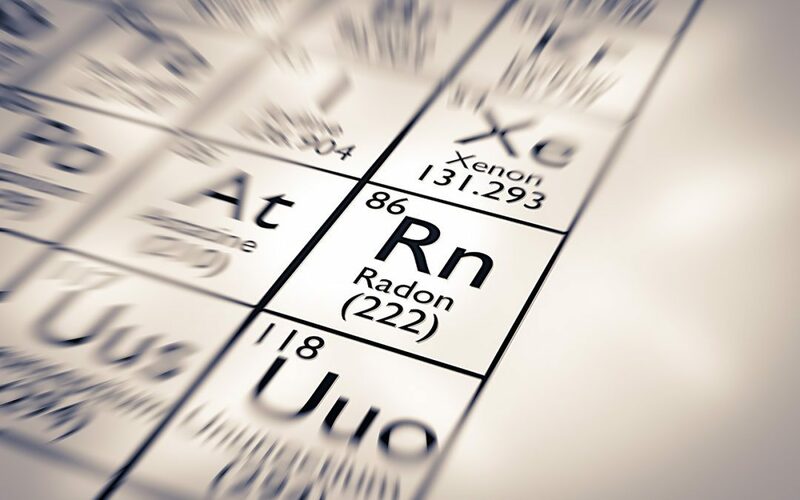 Radon is an odorless and colorless gas. Radon is not a problem in the air outside but an unsafe level can build up indoors. There is no safe level for this invisible gas, and you won’t know it’s there unless you test your home for radon. If you are breathing in radon, you won’t feel sick or have any symptoms in the beginning. According to the U.S. Environmental Protection Agency (EPA), radon levels above 4 picocuries/liter or higher are considered to be the “take action” level. Homeowners and landlords should take steps to eliminate all possible entry points for this dangerous gas by hiring a radon mitigation company. If you have future plans to sell, you should first test your home for radon. You’ll have time to take care of the problem before it causes any hitches in your transaction. If you detect unsafe levels of radon, contact your state’s local radon office for a list of radon mitigation contractors. They have a variety of ways to fix the problem. Their price for service ranges from around $800 to $2,500.Let potential buyers know if you have tested your home for radon. If you have found a home you are interested in buying, make sure you order a professional radon test along with the home inspection. If you are in love with a home that has tested high, request that the seller pays for the mitigation and the retesting. Fortunately, professional radon testing is not expensive or invasive. If you are having a home inspection, never forgo radon testing. DIY test kits are available, but they lack accuracy so it is best to order a test from a trained professional. A radon level of four or higher calls for action. Hire a professional mitigator knowledgeable in reducing radon entry points. If you discover that your family has been exposed to high levels of radon for an extended period of time, talk to your doctor about a possible CT lung scan. Checkpoint Home Inspections offers home inspections and professional radon testing to the North Oregon coast. Contact us to book your appointment.